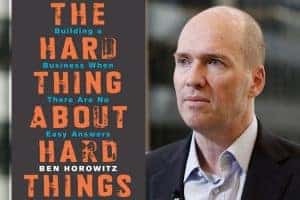 Ben Horowitz wrote about almost firing a manager for not having one-on-ones. Learn why they’re important. Much has been written here and all over the web about what managers need to know about one-on-ones and why they must have them. But what about when you’re an employee? Being new to one-on-ones, wondering what to expect, and wanting to know what you can do to make the most of them applies to employees as well as their managers. Whether you’re a manager looking to give tips to your employees on how you want them to approach their one-on-ones, or an employee looking to learn how to make the most of your one-on-ones, this post is for you. One-one-ones are a time for you to discuss the things that are important to you, and for your manager to focus on you with coaching, feedback, and questions for you. If your manager tries to turn your one-on-ones into a status update, stop them. There are plenty of other times and ways you can keep them in the loop on what’s going on in your day-to-day projects. Bring things you want to discuss to your one-on-one. If you’re having a hard time with a person, project, or personally, tell them. It’s the only way they can empathize or help you. If you have questions, one-on-ones are the perfect time to ask them in private. Your manager will likely come with a few questions, and if you do as well, you’ll be well on your way to having great one-on-ones. Not every one-on-one is going to be serious. Especially for your first few, they should be about getting to know one another, so you build some rapport and trust. Believe it or not, by getting to know each other beyond work, you will improve your work relationship with your manager. When you both know how the other ticks and what they love outside of work, it’s easier to understand them. Be interested in what people say, appreciate the person in front of you. Everyone's favorite subject is themselves, indulge them in it. If you’re looking for an easy, softball question to warm up your manager you may not have a strong relationship with, ask them, “how did you get where you are today?” As you get to know them, they’ll likely reciprocate and ask you the same and you’ll be on your way towards strong rapport. I know. It’s scary to open up to someone you don’t know well, but you can really help your manager if you share a little and give them a few things to go on. There’s nothing tougher for a manager than being in a one-on-one where it’s like pulling teeth to get anything out of their team member. Trust them first. "Take the first step in faith. You don't have to see the whole staircase, just take the first step." ~Martin Luther King Jr. When you do open up to them, let them know what you want and see if they follow through. If they do, then it should get easier to bring things to them and your relationship and trust in one another will strengthen. It all starts with you taking that first step though. In any other meeting, you usually need to bring a well thought out idea to present it to your colleagues. This is not the case for one-on-ones. They are a safe, more informal discussion. If you have an idea to improve yourself, the team, or the company, this is a great place to float them and see if they’re worth further investigation. "Ideas are like pizza; sometimes they're half-baked but all deserve to be tossed around." – Layla Morgan Wilde. GREAT #foodquote! Not everything will get past a chat here, but it does take the pressure off what could be a really big deal to pitch your whole team on it. Your manager can help you better understand whether the idea can work and what it takes to fully flesh it out. A manager can’t help you with what they don’t know. Something that looks important to you or obvious may be hard or impossible for them to see. If you don’t tell them they can’t help you fix it. Fix problems when they're small. The worst thing that can happen to your manager is for them to get drawn into a constant reactive mode. That can easily happen if they only find out about problems once they’re huge. Fixing a problem when it’s small is orders of magnitude easier than the triage of big issues. No problem that matters to you is too small to bring up. If it really is small, you may be able to get a solution in a matter of moments, but you’ll never get help solving a problem your manager doesn’t know about. Tell them! Your manager has a really full plate. They’re in meetings all the time and have one-on-ones with everyone on your team. They’re going to do their best to be prepared for your one-on-one and so should you. If there are things that you want to talk about, jot a few notes down in an evernote or a notebook and bring them with you. Bring questions, ideas, concerns, and feedback. Remind yourself what you talked about last time. A good two-way street on preparation makes for great one-on-ones. It will seem like you’re doing them a favor, but you’re hurting yourself. Don’t let them off the hook for the one time every week or two that’s for you. Instead, ask to reschedule to a later day or time. You should always have something to talk about. If there’s nothing pressing, that should be an opportunity to talk about your career development and growth, or high level ideas to improve the team. There’s hundreds of questions you can discuss in one-on-ones that benefit both of you that are all good reasons not to cancel a one-on-one. One-on-ones are private, safe conversations. If there’s something you want to be critical or outspoken on, this can be a better forum than a full team or full company meeting. By bringing it up in one-on-ones, you avoid embarrassing anyone publicly, or having your candor be poorly received. Your manager may even be able to help coach you to be more prepared to bring it up at the right time and place. When proposed changes come up for your team or a project, managers will often want to take the temperature with a few people privately before widely announcing. If your manager becomes used to getting helpful, candid feedback from you in one-on-ones, there’s a good chance they will make you one of those people they consult. Managing a team yourself? Want to make the most of your 1 on 1s? Then sign up for a free trial of Lighthouse here. If you’re bringing up the tough issues you need to discuss with your manager in your one-on-ones, there’s a good chance they’ll reciprocate. However, they’re often distracted by other things so it never hurts to help them by explicitly asking for the feedback you want most. Ever have a manager give you feedback in the “sh*t sandwich” format (i.e.- Empty praise, softened criticism, empty praise)? Managers don’t like it either, but they worry just giving straight feedback by itself is too harsh. This is where one-on-ones are great. If you’re already talking about all these other ideas in your one-on-ones, then taking a moment during them to talk about something you could have done better feels a lot less awkward for both of you. It’s great to have open, candid discussions with your manager in one-on-ones. However, if you never take any action on what you discuss, then you aren’t really accomplishing much. When you cover important issues in your one-on-ones, make sure you establish with your manager what both of you will do based on what you discussed (note: an app like Lighthouse will help your manager keep track of these. Start a free trial right now here). This ensures your expectations stay aligned and you make progress on what’s important to you. Even small, incremental progress has been shown in studies to make you much happier, so don’t underestimate what a few small steps can do to improve a situation for you. What advice would you give to an employee heading into their first one-on-one with their manager?